Are you looking for a quality Electrician or an Electrical Contractor for your project? No matter the type of job or size, Metzler Electric can support your electrical needs. Our well qualified and experienced team will go above and beyond to create success and satisfaction with your project. 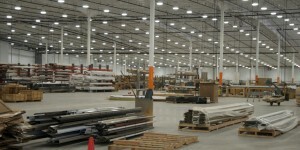 We are a unique company in that we are able to service Residential, Commercial and Industrial electrical needs. If it has wires we can do it! Our company was founded by our father, Jerry Metzler in 1996. When he started this company he took great pride in providing quality service. To this day, we strive to continue that quality service to both new and existing customers. Our goal is to make every customer, no matter the size or type of job, a satisfied customer. I hope my brief introduction has helped give you more information on what we have to offer. I invite you to browse around our website for more information. Sign up on the upper right corner above for our free report, Do it Right the First Time: How to Choose the Right Electrician. Feel free to contact our office with any additional questions you may have. We look forward to hearing from you and becoming your Quality Electrician. 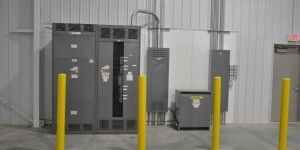 We here at Metzler Electric, Inc. have many years of experience in designing, building and maintaining commercial electrical systems. You, like us, put your heart and soul into making your business successful and profitable and your electrical system is one of the most important tools necessary to make that happen. Your home is the most important place in your life, it’s where you raise your children, relax and rejuvenate, where you entertain your friends and it is where you feel most comfortable. We take great pride in installing, maintaining and protecting your home and family’s electrical system that you depend on every day. We are living in the age of information and technology where new innovations and upgrades in information are a key to staying efficient and connected to the world we live in. Many businesses today depend solely on technology and the exchange of information through your data/telephone wiring.